Key workers including nurses, teachers and gardaí are being forced to move out of our main cities in search of an affordable three-bedroom home. Couples on a combined salary of just under €74,000 will be unable to afford a starter home within most of Dublin's M50 from next year - and they are being priced out of parts of Cork, Limerick and Galway cities, as well as commuter towns in Kildare, Wicklow and Cork county. 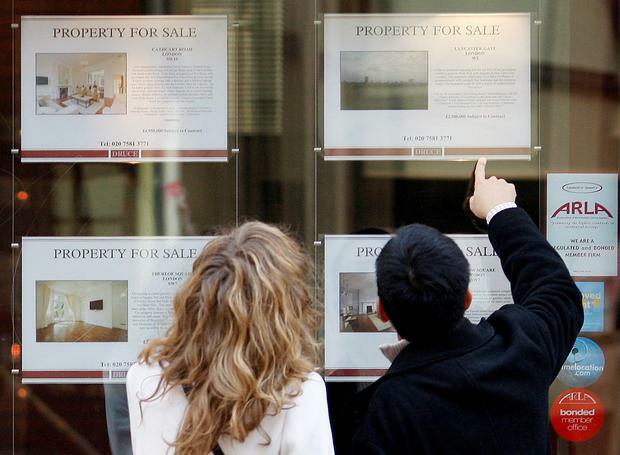 Rising prices have already made much of the capital unaffordable for a couple on a combined 'average' salary, with experts predicting that only in Dublin 10, 11 and 17 - and suburbs outside the M50 - will prices remain within their borrowing limits from 2019 due to rocketing prices. An analysis of property prices provided by estate agents, contained in the 'How Much Is Your House Worth?' supplement carried in today's newspaper, shows how rising prices have squeezed key workers out of locations near where they work. Assuming an upper price limit of €288,000, it shows that buyers will be effectively locked out of the Dublin market in just 12 months time if seeking a property with at least three bedrooms, which would allow them to grow their families. Furthermore, buyers are now prepared to drive almost 100km to work, sparking huge house price surges in Laois, Carlow and Wexford. Unaffordable rents combined with a strict lending regime are pushing Dublin workers into former outer commuter belt locations, which haven't seen city buyers since the boom years. The findings of the Irish Independent's annual property price guide for local markets, indicate that 2018 will be the year of the long-distance commuter. It also indicates soaring prices for local first-time buyers in midlands and coastal locations within a 100km radius of the capital's city centre. The data gleaned from local estate agents all over Ireland shows prices are up by 25pc in Co Laois, with Portlaoise being the most popular target (90km away from Dublin) while 20pc has been added to prices in Wexford where Gorey is the most popular destination (90km). Despite having risen by a quarter, the average house price in Laois remains relatively affordable at €178,000, while the Wexford average is €170,000. This compares with the price of an average Dublin 14 home of €625,000 and €410,000 in Dublin 15, both completely out of the reach of average couples. But thanks to rocketing rents caused by the housing shortage, Dubliners can no longer afford to rent. For their part, towns located two counties away from Dublin have not seen commuter interest like this since 2007. "Prices in Kildare are increasing so much that people can't afford it any more, so they are looking at Portlaoise and Portarlington," said local agent Paul Kelly of DNG Kelly, who recorded a 22pc increase in homes sold last year. Unexpected commuter target destinations also named today include Kilkenny and even parts of Roscommon. "There are a lot of professional couples in Dublin who want more relaxed lifestyles and are prepared to commute or work from home a few days a week," said local estate Peter McCreery of Sherry FitzGerald McCreery in Kilkenny. Prices are up 11pc in Monaghan, 10pc in Cavan, 10pc in Westmeath, 10pc in Offaly and 8pc in Carlow. Monaghan estate agent Dermot Conlon of REA Gunne said buyers were coming from North Dublin to purchase homes in Carrickmacross (96km) and Castleblayney (114km). "Because they are paying rents of €1,500 per month for a three-bed semi in Balbriggan or Swords, they are eager to reduce their monthly outgoings." Despite some of the country's biggest hospitals, including St James's and St Vincent's, being located in the city centre, along with most of the maternity hospitals, nurses are unable to afford to buy close to their places of work. The same applies to many workers at Dublin City Council, and staff employed in government departments, and those employed in the commercial core of the city, particularly retail and restaurants. There are also serious pressures in commuter towns, which typically provided homes for those unable to afford the bigger urban centres. A three-bed semi-detached home is beyond the reach of average-earning couples in north Kildare and north Wicklow - home to towns including Maynooth, Celbridge, Bray and Greystones. Outside the Greater Dublin area, the price survey shows a three-bed bungalow is unaffordable in Killarney, Co Kerry, in west Co Cork, which includes Skibbereen, Clonakilty and Glanmire, and in east Co Cork, which includes Youghal, Cobh and Midleton. An affordability problem is also becoming more pronounced in the Cork city suburbs of Douglas and Rochestown, where a three-bed terrace, bungalow or semi-detached house is out of reach. A three-bed semi-detached is unaffordable in Cork city centre, and in the cities of Limerick and Galway. The affordability problem is highlighted in the capital, with the analysis showing how back in 2014, when house prices were only beginning to recover, a couple on average earnings could afford to buy a one or two-bedroom home in all Dublin postcodes, including leafy Dublin 4. A three-bedroom home of any description - terrace, duplex, semi-detached or period property - was out of reach in just six postcodes. They were Dublin 2, Dublin 4, Dublin 6, Dublin 6W, Dublin 3 (Clontarf) and Dublin 18. By 2015, the price squeeze was beginning to bite with a three-bed now out of reach in nine areas. Dublin 9, Dublin 13 and south Co Dublin were by now considered unaffordable. The squeeze continued in 2016, with a three-bed available in just 15 areas, with 11 postcodes out of reach. The same year, Dublin 4 became unaffordable for average workers for any property type. This year, estate agents with in-depth knowledge of the market suggest that Dublin 4 and south Co Dublin remain unaffordable for any type of home, and a three-bed is only available in nine areas. The only place a four-bed house, a bungalow, is available is in Dublin 22 for €281,000. By next year, the cheapest one-bed apartment will cost €164,000 in Dublin 22. This compares with €65,000 in 2014. An ex-corporation three-bed home in D24 will cost €211,000 in 2019, up €111,000 over the same period. A three-bed home will only be available in eight areas - Dublin 10, 11, 15, 17, 22, 24, north Co Dublin and Dublin West.